In 2015, the YMCA was searching for ways to enhance health and wellness trainings for its instructors in 10,000 communities nationwide. With common goals of developing healthy communities and helping people to achieve long-term, healthy behavior, ACE seemed to be a natural partner in that undertaking. Now, through a cooperative process that enlisted the expertise of team members on both sides, the Y offers foundational education from ACE in group exercise and strength and conditioning to its instructors so that they may be better prepared to help members who come to them for guidance. YMCA Foundations of Group Exercise and YMCA Foundations of Strength & Conditioning courses provide foundational knowledge of exercise and movement science to help Y instructors better serve members participating in healthy living programs at the YMCA. Both courses are available to Y instructors on the YMCA Learning and Career Development Center. Although the education is not meant to replace NCCA-accredited programs, it will help instructors more effectively engage participants with safe exercise. To access discounted ACE education courses, visit the YMCA LCDC. For more information, download a copy of our FAQs here. 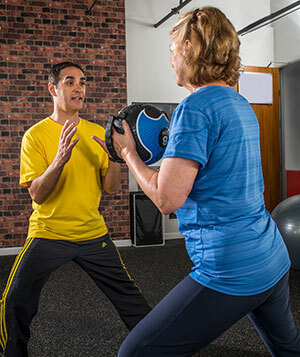 In addition to equipping you with the expertise you need to guide Y members to their health and fitness goals, ACE also offers a wide range of Specialist Programs to help you become an authority in specific fields. Being able to deliver guidance on senior fitness, youth fitness, orthopedic exercise, weight management, fitness nutrition, therapeutic exercise and more will help you guide special populations who need your expert help. The knowledge you’ve gained as a health and fitness professional is valuable, and ACE wants to help you share it. In addition to helping other professionals more effectively lead people to change, becoming an ACE Continuing Education provider can help you improve your own delivery skills. Turn your expertise into a continuing education course focused on nutrition, exercise science, behavior change, strength training or another area. Certified is an online publication from ACE designed to equip health and fitness professionals like you with the knowledge you need to grow your career. Get Certified delivered to your inbox free each month as a YMCA professional. For information on how to register for Y courses, cost of certifications, readiness checklist and supervisor playbooks, questions related to CECs for Y courses, email a member of the Y team at healthyliving@ymca.net or call (800) 872-9622. For information on how to become an ACE Pro, CECs for ACE Pros taking Y courses, and Specialist Programs, email ACE at ymca@ACEfitness.org. As a leader in health and fitness education, ACE offers hundreds of courses that help professionals enhance their expertise in training techniques, equipment, special populations and more. For information on exclusive discounts on ACE Continuing Education for YMCA professionals, visit your YMCA LCDC. Take your knowledge and your passion for health and fitness further by pursuing an NCCA-accredited certification from ACE. Find out how you can become an ACE Certified Personal Trainer, Group Exercise Instructor, Health Coach or Medical Exercise Specialist.